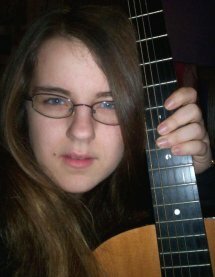 Being pretty is all that Tally Youngblood ever wanted. But there is only one problem for Tally - you have to 16 in order to be pretty. Until your 16th birthday you are nothing but an Ugly. Just before her 16th birthday Tally meets Shay, an Ugly set against becoming pretty. When Shay escapes the operation and goes to the Smoke, a secret location Uglies can escape to, Tally is the only one who knows where the Smoke is. Tally is then given an option. Either she can betray Shay and give up her location or she will be ugly forever. Tally enters the Smoke and realizes that being pretty isn't as pretty as it's cracked up to be. 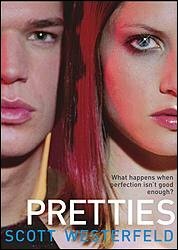 The second book in the series is Pretties. Tally returns to the city and becomes a Pretty. She and her new boyfriend Zane try to escape the side effects of being pretty. 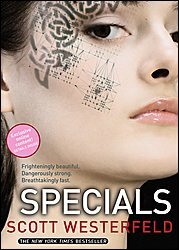 The third book is Specials, in which Scott Westerfield concludes Tally's adventure. After being pretty Tally agrees to become a part of Special Circumstances, the secret organization that hides the secrets of being pretty. Tally is still trying to fight what she has become, and tries to save the world in between. But a mistake she has made causes a war between two cities, and she has to fix it. 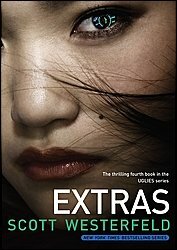 Scott redefines the word "trilogy" in Extras, his fourth book in the series. After her time as a Pretty, all Aya wants is to be famous, even if it means betraying a friend. But while trying to get a new story, Aya discovers something more than she bargained for. She discovers weapons that could eventually destroy the planet and wipe out the human race. It's when she lets the world know about the secret production that things flip-flop. Her story makes her so famous that even Tally Youngblood notices it. The only problem is that getting Tally to notice may not be a good thing. 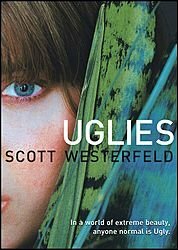 If you've ever wondered what the future may be like, you will definitely want to pick up Uglies. You may even realize that being ugly is better than being pretty.